Corso started law school at the University of Texas in 1985, then spent the summer of 1987 at Fisher Rushmer, P.A. as a 2nd year summer clerk. This internship opportunity led to a job offer and Corso returned to Fisher Rushmer, P.A. in the summer of 1988 after graduating from law school. 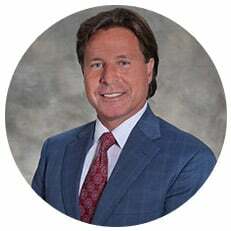 While working at the firm, Corso developed a bond with the founding shareholders and now has the same relationship with the law firm’s current partners, culminating in a 25-year partnership. Education: To become Board Certified, the applicant must have completed fifty hours of continuing legal education in civil trial law over the last three years and successfully completed a written test. Only 7 percent of the attorneys in Florida are Board Certified in any subject. “Board certification in any practice area is a premier distinction held by very few compared to the total number of licensed attorneys in the state of Florida. Board certification in Civil Trial is a confirmation of a high degree of competence and skill beyond whatever a trial attorney’s reputation may be. I am very proud to have achieved board certification and practice in a fashion to keep the distinction genuine and authentic,” said Corso. Since 1984, the Orlando law firm of Fisher Rushmer, P.A., has been providing quality legal advice and services to clients in Central Florida and throughout the entire state. The reason Fisher Rushmer, P.A. lawyers are so effective at what they do is simple: the attorneys are passionate about the law. Fisher Rushmer, P.A. is committed to delivering effective, efficient and quality legal services because the attorneys care about every client and every case.